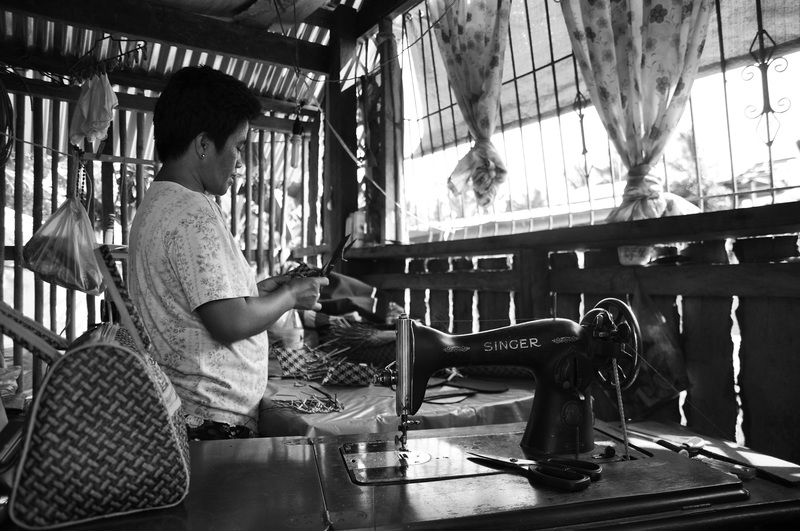 A month ago, I was in Basey, Samar, where weaving is a primary source of income for a lot of women. In this photograph is a woman cutting pieces of cloth which will serve as lining for a banig bag. The weavers make all kinds of wonderful things – bags, wallets, laptop sleeves, and mats – out of a plant called tikog, and sell these to earn for their families. I will be posting more about the weavers soon.